As i wanted to add some outdoor sensors an create network devices I decided to try "ESP8266 Basic" after using Lua for some time. A big advantage of ESP8266Basic is you can update, edit and load new programs using your browser over Wifi. The disadvantage (compared to the Lua) in the current version some commands / instructions are missing. However there are also some very nice additional commands / instructions. I wanted to use modules described in my blog a year ago as these modules have a battery pack included. I closed the jumper to flash the program. Connected the USB to my computer. 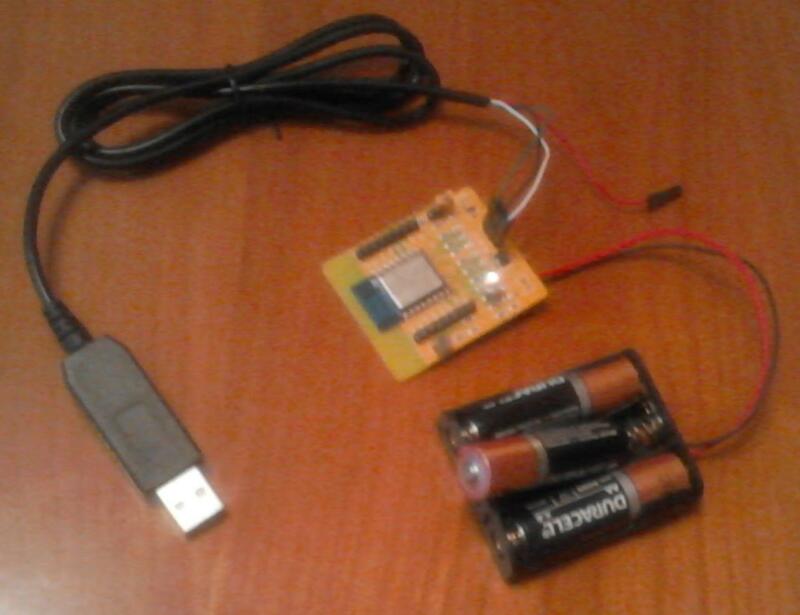 (I used a special USB cable not the Arduino in the article on the ESP8266 Basic website). You can also check this article to find the com port ! After flashing remove the jumper. With my mobile i connected to the ESP access point that shows up if no network is configured / available. With the browser on my smartphone i went to http://192.168.4.1 The screen in my version has a tab [Settings] to go to the Settings Page where i configured access to my network. After powering / reboot the module now connects to my home network. I did some tests, some details will follow in other blog posts. A (strange) issue i had with the device is when i added a login key for protection. Perhaps due to an error entering the keyword i could not get back in the device. 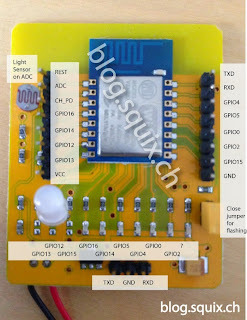 Finally i decided to start over again and re-flash the ESP8266 module with ESP8266 Basic. Programs i entered would be lost,.so do not forget to backup your programs on your computer!!! The module was already connected to my home network ! I added a login key again and this time i had no problems entering again by typing the keyword.